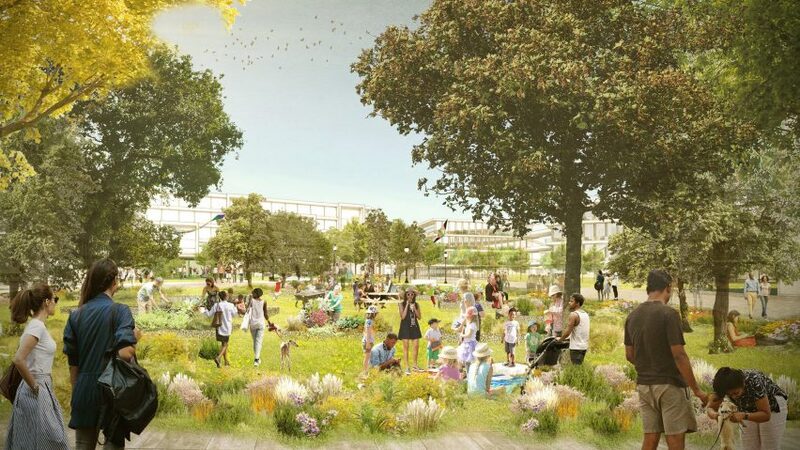 Facebook has announced that architecture firm OMA will masterplan a new village for the area adjacent to its Frank Gehry-designed campus in Menlo Park, California. The social media giant enlisted OMA's New York office to redevelop the former Menlo Science & Technology Park, a 56-acre property that the social media giant acquired last year, located south of its headquarters. According to Facebook, the Willow Campus neighbourhood will provide "long-needed community services", including housing and transportation solutions. The scheme will also feature other amenities, like 125,000-square-feet (approximately 11,612 square metres) of retail space, including food shops and a pharmacy, and plots for new offices. "It's exciting to collaborate with Facebook, whose innovation in networking and social media extends to urban ambitions for connectivity in the Bay Area," said OMA partner Shohei Shigematsu, who leads the firm's New York office. "The Willow Campus masterplan creates a sense of place with diverse programming that responds to the needs of the Menlo Park community," he added. Housing is described as "critically important" to the masterplan. It will comprise a total of 1,500 homes, with 15 per cent to be offered at below market rates. By providing affordable housing in the area, the team hopes to cap the growth in traffic from commuters. The increase in the density of housing is also intended to spur on new east-to-west transport connections and the development of a transit centre in the area. The plan will be filed with Menlo Park for approval this month, and followed by conversations with government officials that are expected to last two years. Shops, housing and offices included in the first phase of the works are slated for completion in early 2021. Subsequent phases are planned to finish in 2023. Facebook plans to help local workers access the jobs made available by the construction. Facebook moved into its Frank Gehry-designed Silicon Valley headquarters, known as MPK 20, last year. The social network's former Palo Alto headquarters was completed by San Francisco firm Studio O+A in 2009. OMA – which ranked at number 12 on the Dezeen Hot List – now has offices in Rotterdam, Hong Kong, Brisbane, New York, Doha and Dubai. According to founder Rem Koolhaas, each studio has it own independent voice. Other current projects by the New York studio include a "prismatic" residential tower in Manhattan and a trio of "peanut-shaped" towers in Miami's Coconut Grove.